The absolute THING to sip on this summer! 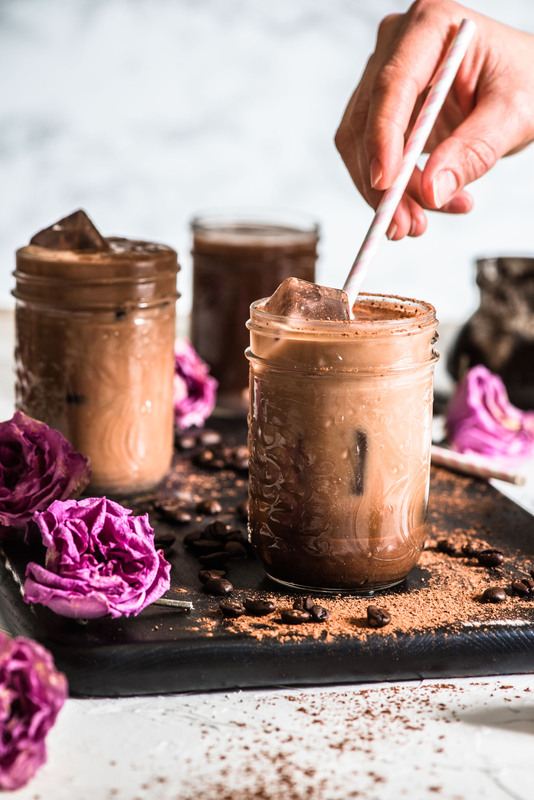 This perfect Iced Chaga Mocha is priority allergens free, full of protein, loaded with flavor and simple wholesome ingredients. In mere minutes, you'll have prepared a drink worth sipping on this year! You want to score big for Father’s Day this year? Well look no further because I have the perfect thing for you to make. 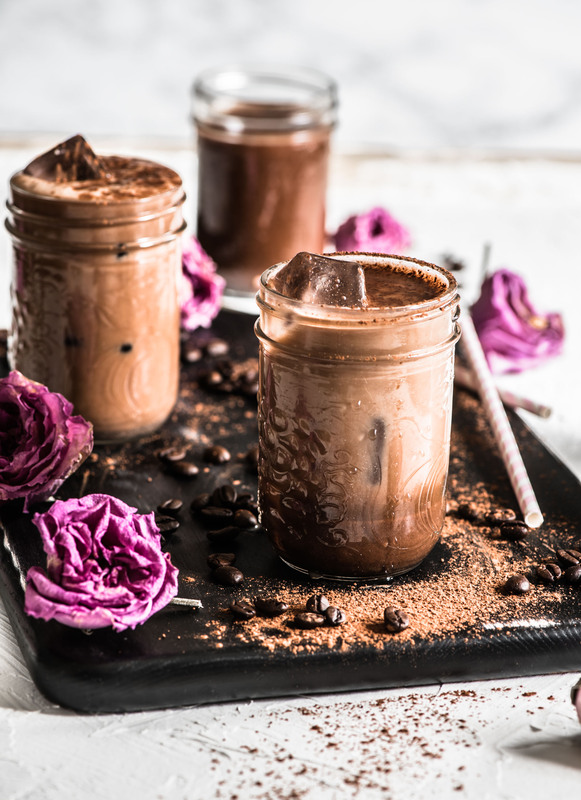 Instead of your usual cakes and chocolate things, why not make the best dad in your life a cold, refreshing… Iced Chaga Mocha! It’s totally unexpected but most welcomed. It has everything you need to get on with your morning and it’s also perfect for the warm weather we’re finally experiencing! Anyone already complaining about the heat!? Definitely not me :D OK well I totally am, just on the inside. This perfect drink sounds fancy but I assure you it’s the easiest most refreshing thing you’ll be sipping on all summer long! Full of protein, energy, healthy wholesome ingredients. This is the only coffee I actually enjoy. Well that’s not entirely true – my friend makes a mean cappuccino and that I drink.. so maybe I’m a social coffee drinker? Is there such a thing? 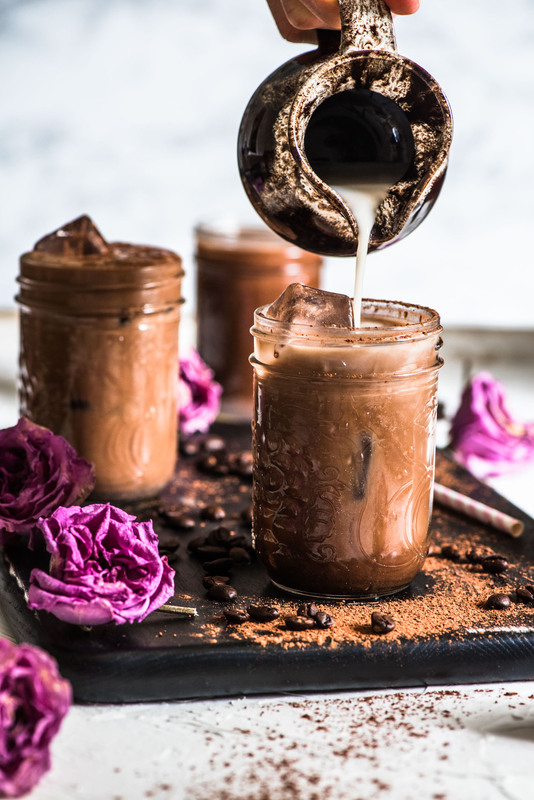 This Iced Chaga Mocha recipe is ridiculously simple to make – add all ingredients in mason jars or the like, seal, give it a good shake, and chill until ready to serve. It’s literally that simple! It’s fail proof and fool proof. I added chaga protein to this recipe – hence the name, but feel free to either sub the protein for one that you use, or omit all together. The protein helps give it a bit of heft and it helps you feel satiated longer. But if you don’t have any on hand, no biggie. Go on and make this deliciousness and report back! You’ll always find me on here or on my social media pages… usually on insta though! Either way, I’d love to hear from you if you make this recipe, or any other of my recipes on NDNC! I can’t wait to start making this drink again once I’m done with my fasting! In a medium to large bowl, add all ingredients (except for the milk and ice) and whisk well until completely blended. Pour into desired cups, I use mason jars, filling about halfway to the top. Top off with dairy free milk, seal jars, and place in the fridge to chill. When ready to serve, give the drink a good loving shake, add some ice, and enjoy!! This drink is best served cold, obvi! I used chaga protein powder by Purica Wellness, but feel free to sub for the one you like, or omit if you don't have any available. I loved this drink best using coconut milk, because it's more fatty and it's fragrant so it works perfectly in this recipe. But you can use any dairy free milk you have in your fridge and it'll taste great too! ohhhh yes, this looks glorious, in fact the whole scene is making my mouth water, Its very hot here and this would go donw nicely, although caffeine is highly heating and so I would make mine decaf :) love the addition of the chaga! devine mushroom medicine!